Is your property being overrun by wasps or hornets? We will deal with the nest quickly and efficiently, causing you the least disruption possible. The summer of 2018 has been particularly bad for wasps. 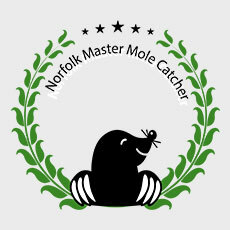 For Norfolk Pest Control Services it’s been a record breaking year – So far, we’ve been called out to 414 wasp nests, and 26 hornet nests - and things aren’t letting up yet. Wasp nests can be found inside and outside buildings – inside they like lofts, chimneys, garages, and wall cavities, and outside they prefer hollow trees and old burrows - so if you see a large number going to and from a building or area, the chances are there’s a nest somewhere. If you think you have a wasp or hornet nest, call us right away on 01379 852 950 or 07806 875 985 and we’ll deal with it for you quickly. Wasp stings can be nasty, and unlike bees, a wasp can sting repeatedly. Also, when a wasp stings you they release a chemical marking you as a threat to the colony, and more wasps may join in attacking you. Depending on the nest location, we’ll use smoke or dust via an applicator to kill the wasps, after which the nest can be removed, although it’s no longer a threat. The largest wasp nest we’ve come across so far was a massive 4.5ft!